Companion planting techniques have been used for centuries to facilitate better, more nutritious, and more abundant crops. Did you know that beets will grow better if surrounded by mint or garlic, but tomatoes should not be planted near cabbage? Flax helps protect some root vegetables from pests, and tomatoes will thrive when planted near carrots (though the carrots may wind up stunted). Your celery will be happier if it’s far away from corn, but broccoli and dill make a terrific garden pair. It’s a lot to think about, but there’s no reason to feel overwhelmed. 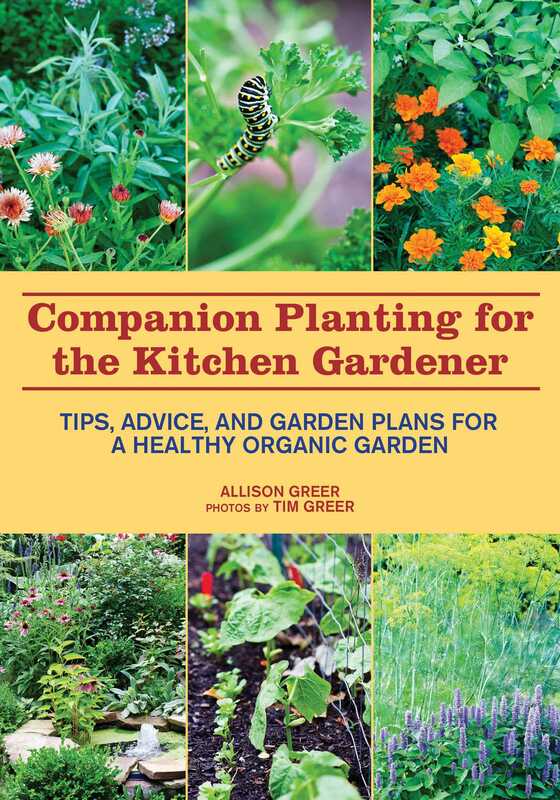 With Companion Planting for the Kitchen Gardener, you’ll have all the information you need in clear, concise terms and with charts and garden plans you can copy or modify to suit your family’s needs. Starting with the basics of organic gardening, such as how to prepare quality soil and the importance of cover crops and organic fertilizer, authors Allison and Tim Greer explain the principles of companion planting, how plants interact, and how you can use that information to your garden’s benefit. There is an entire chapter devoted to each of the fifteen most popular vegetables, with charts, diagrams, and descriptions of eacha treasure for gardeners with busy lives who want an easy reference guide for planning their ideal kitchen garden. Full of gorgeous, full-color photographs and easy-to-follow diagrams, this is a beautiful, useful guide for the home organic gardener.